Have Georgia found the heir to Gorgodze? 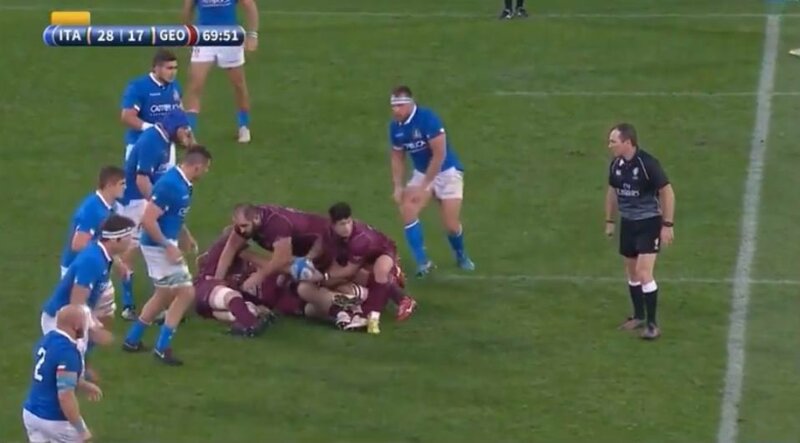 This hand-off from Beka Gorgadze (6’2, 105kg) – whose name is confusing close to Mamuka’s – shows the Bordeaux backrow’s definitely got power. Georgia lost to Italy but it seems they have a new generation of players to kick on the country’s development.